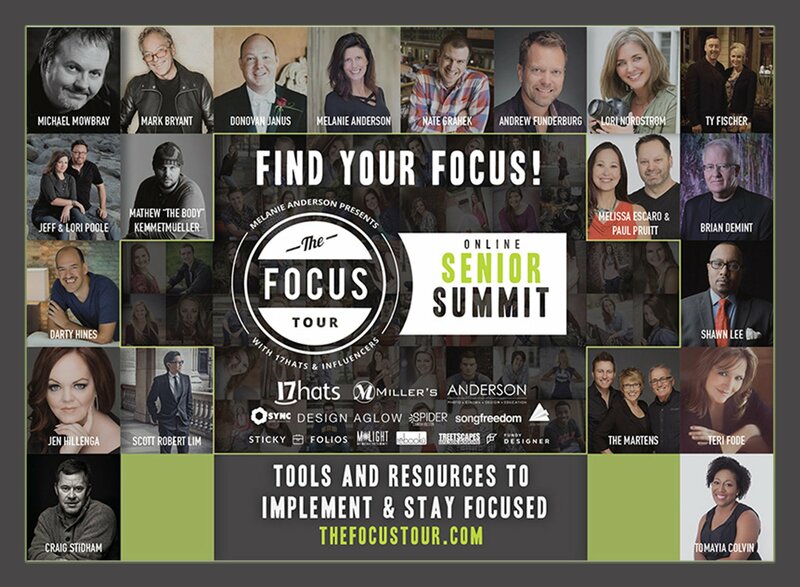 Discover the secrets of launching a successful campaign to get more seniors in your studio. Photographer and expert educator Teri Fode leads you through this lesson and delivers expert level marketing knowledge. Selling is the lifeblood of any business. Learn how to successfully overcome objections and weather the storm to get clients spending money and into your studio. Taught by photography power family, The Martens. There are a number of easy to execute marketing opportunities that most photographers overlook. Learn these marketing hacks from award winning photographer, Nate Grahek. In the age of social media where users are bombarded with tweets, texts, and e-mails all day. Putting an actual piece of material in their hands can be very powerful. Learn how to own direct mailing in 2016 from Matthew "The Body" Kemmetmueller. Instructors Paul Pruitt and Melissa Escaro explain the value of market influence and delve into 5 extremely effective ways to increase yours. Not only will this boost your senior photography, but benefit your studio as a whole.